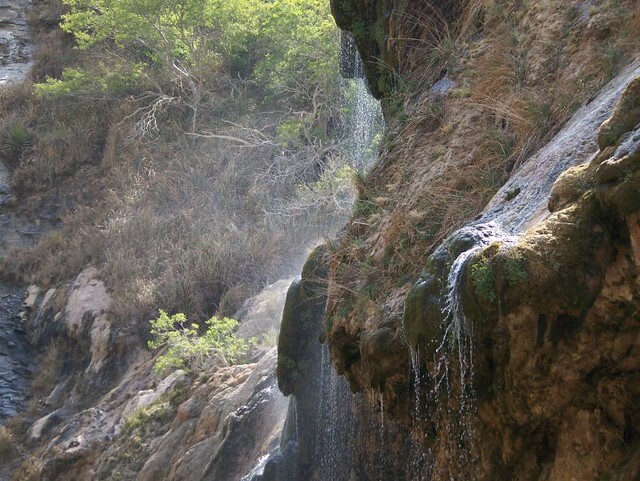 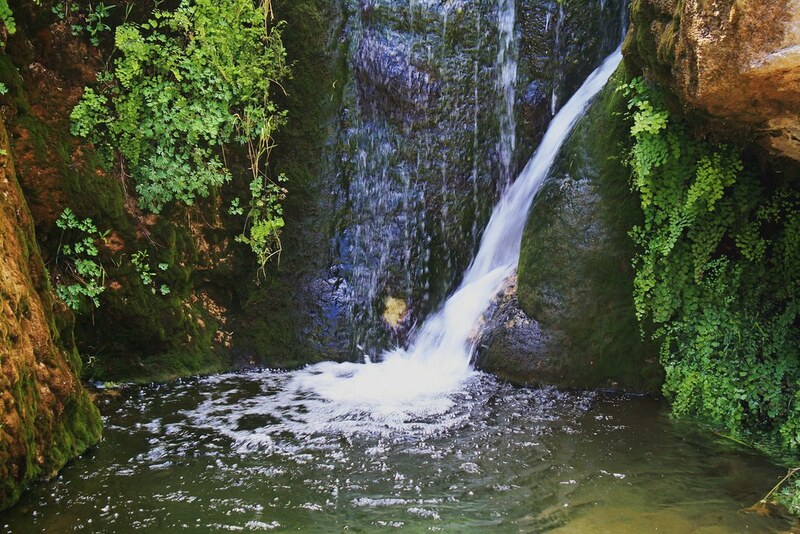 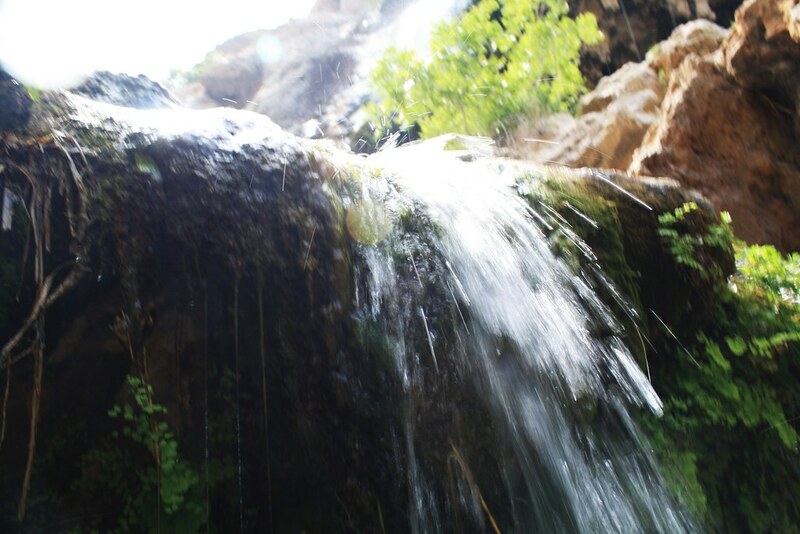 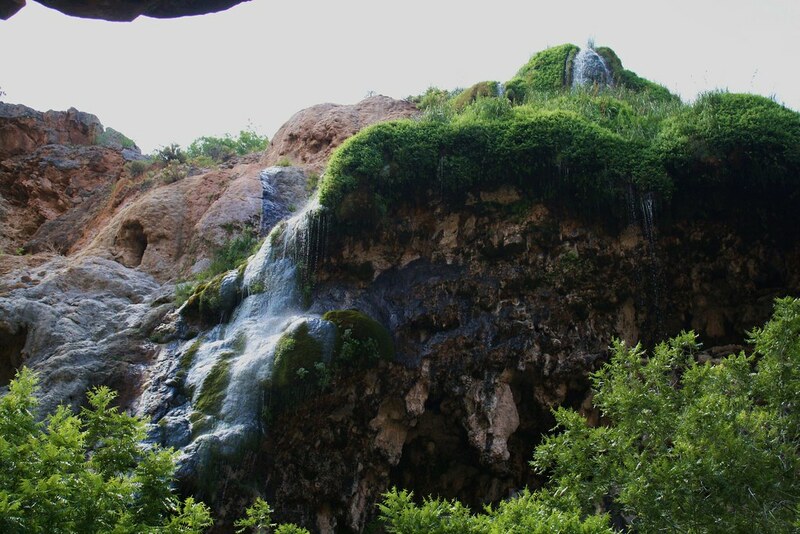 Sitting Bull Falls Recreation Area is an oasis hidden in the midst of the desert where a beautiful 150-foot waterfall pours over canyon walls. 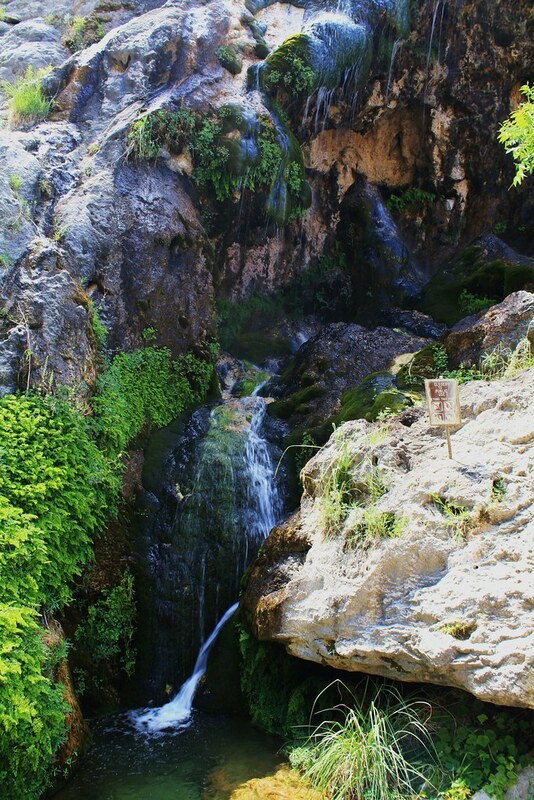 You will also find cabanas with picnic tables, charcoal grills, drinking water, restrooms and a paved trail through the canyon ending at the falls. 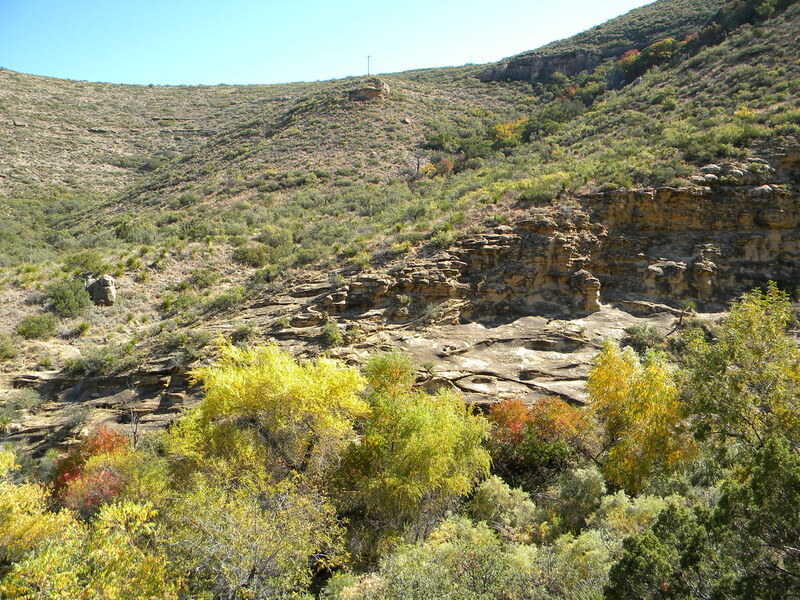 There are 16 miles of canyon land trails for hiking, biking and horseback riding. Sitting Bull Falls is a series of waterfalls located in a canyon in the Lincoln National Forest. The falls are fed by springs located in the canyon above. 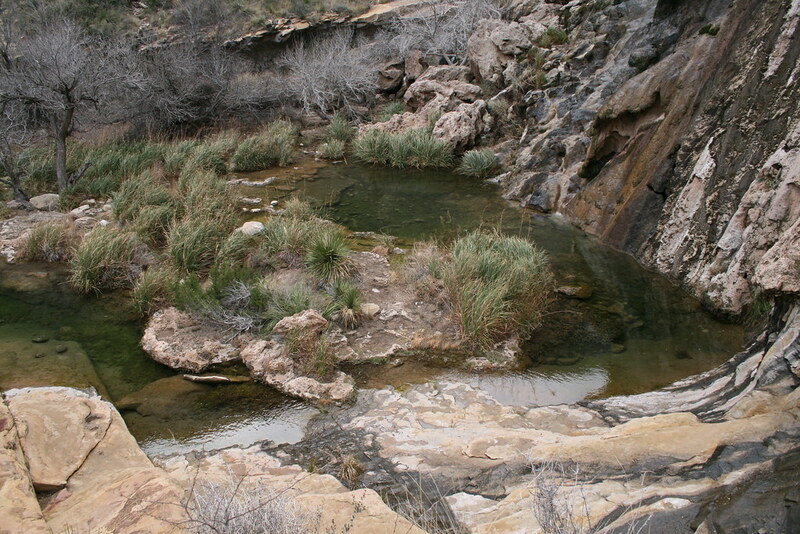 The water flows through a series of streams and pools until reaching the falls where it drops 150 feet into the canyon below. 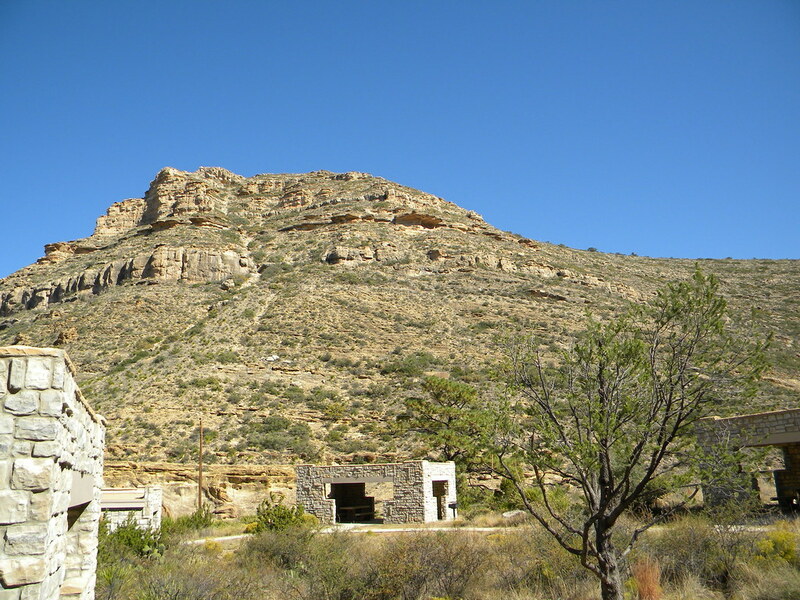 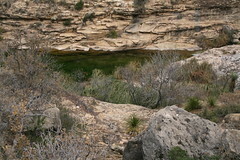 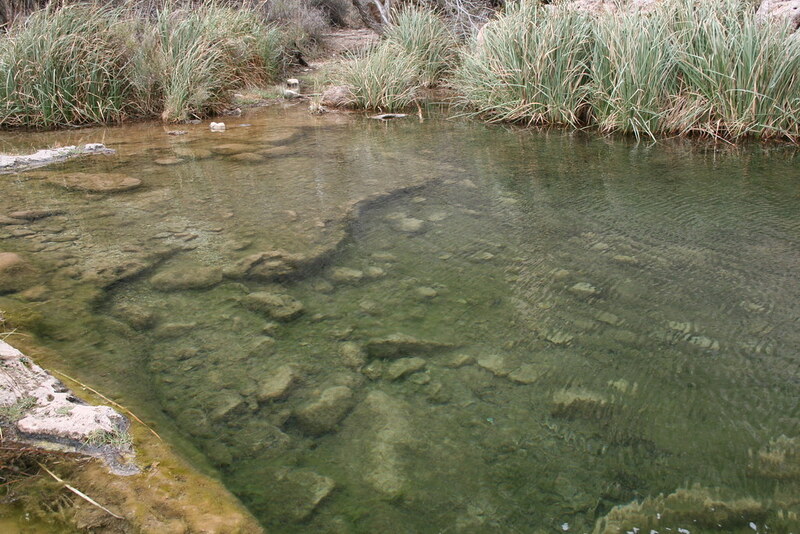 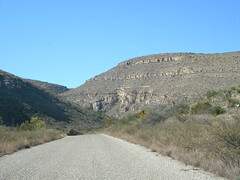 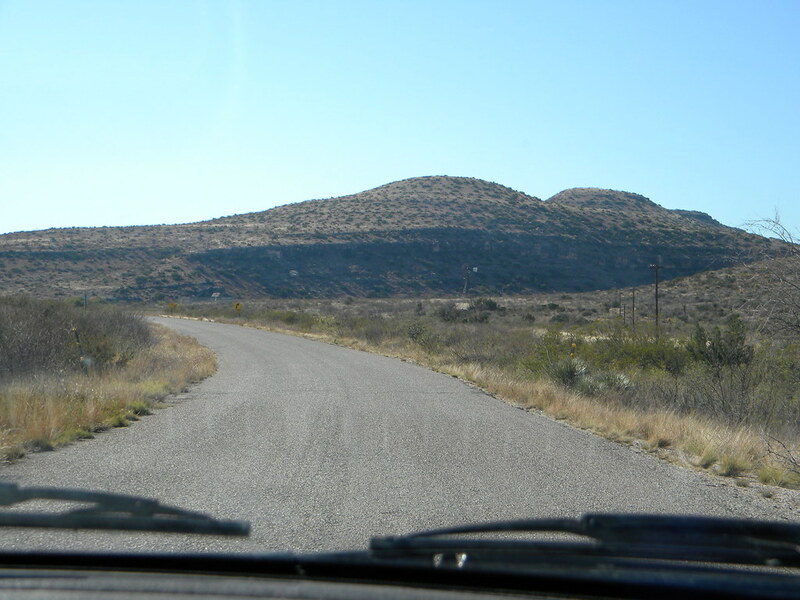 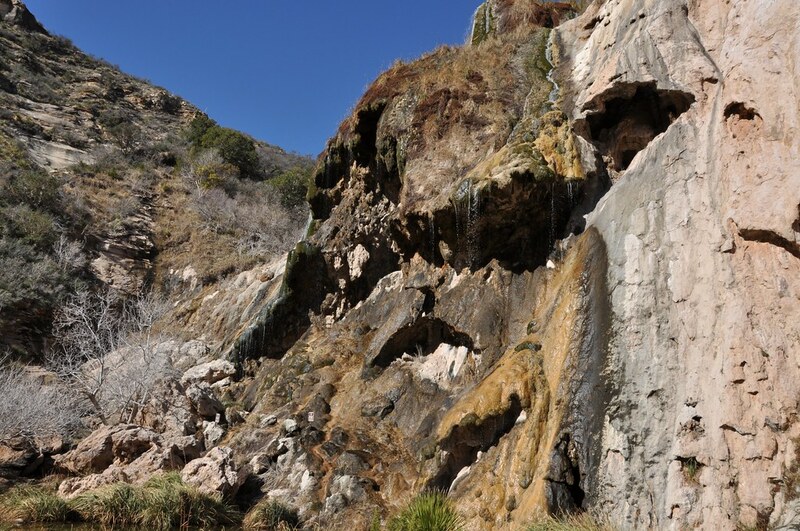 Most of the water disappears into the gravel or cracks in the rocks and either reappears in springs further down the canyon or joins the Pecos Valley underground water supply. 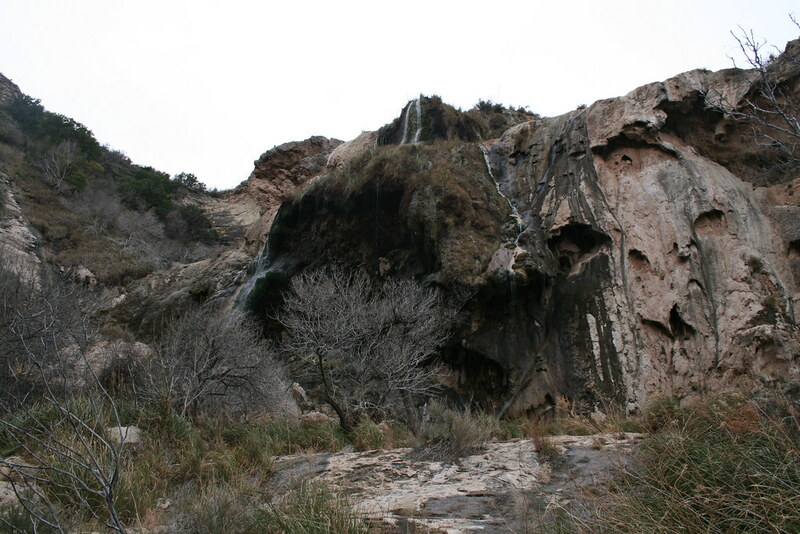 The origin of the name Sitting Bull Falls remains uncertain. One version holds that the falls were named after a Sioux medicine man. 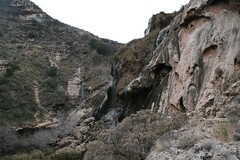 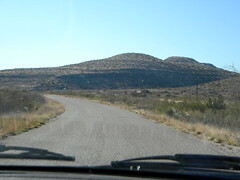 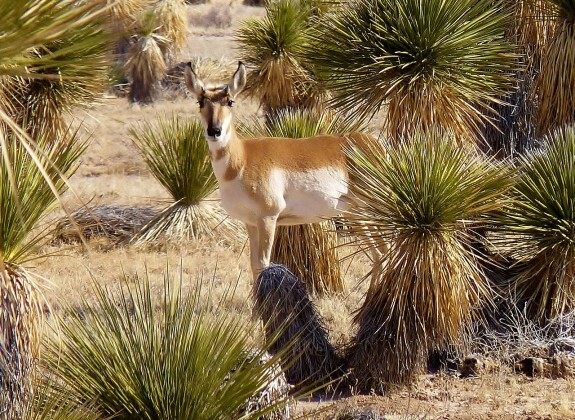 The Apache name for the area was gostahanagunti, which means hidden gulch. 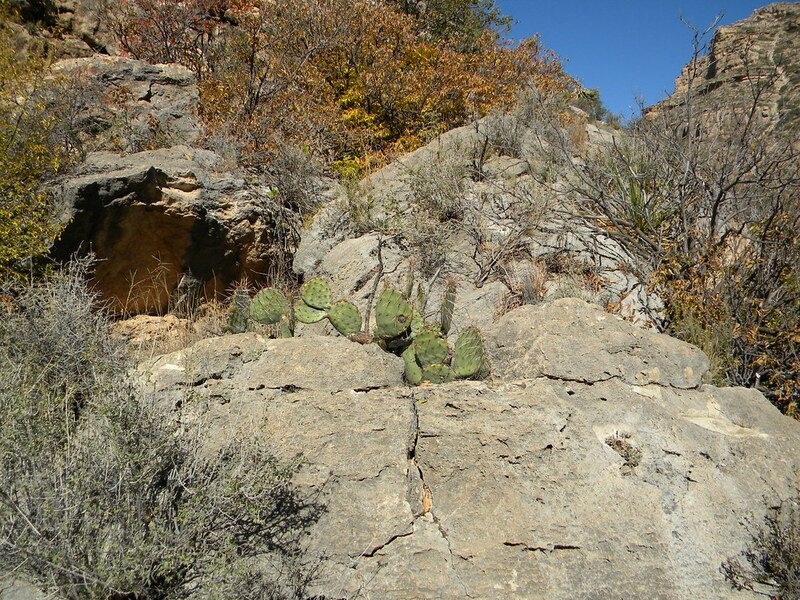 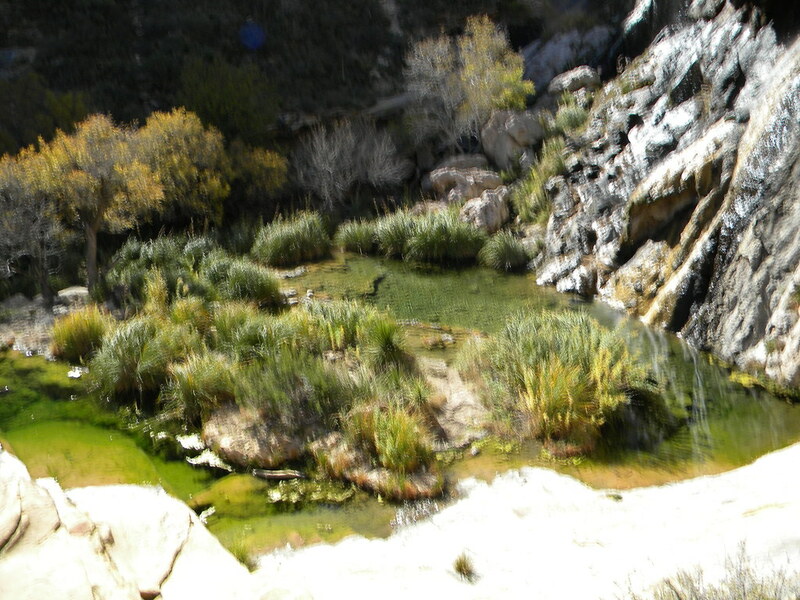 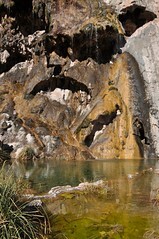 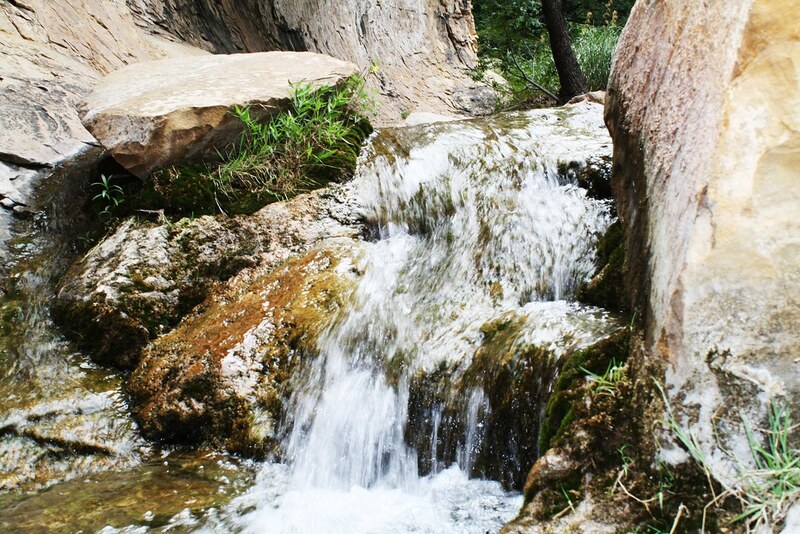 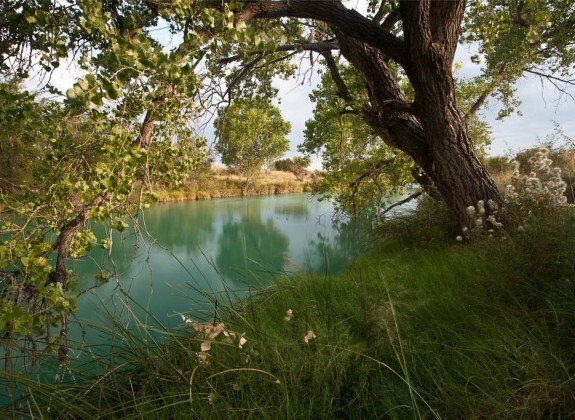 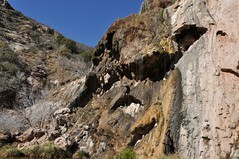 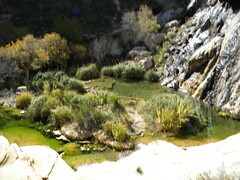 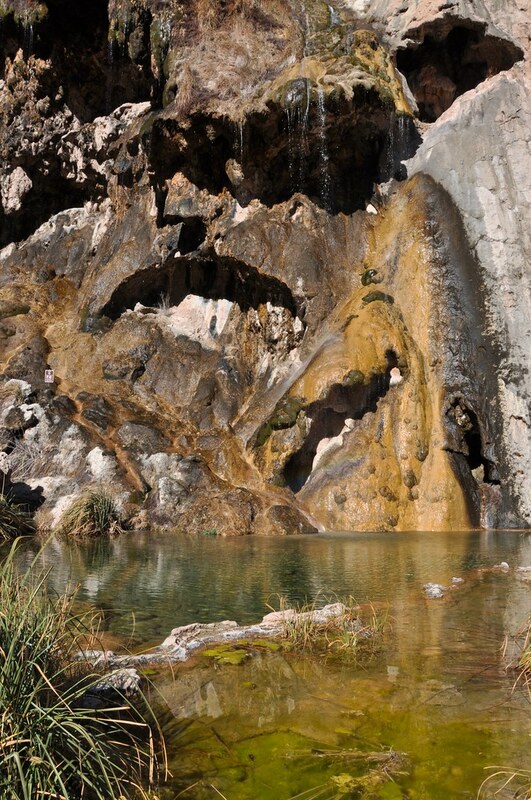 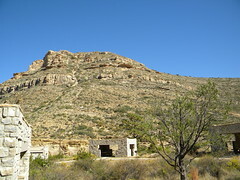 The Sitting Bull Falls Recreation Area is a rare gem in the hot desert. Day-use area only. 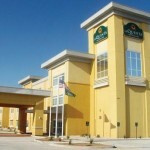 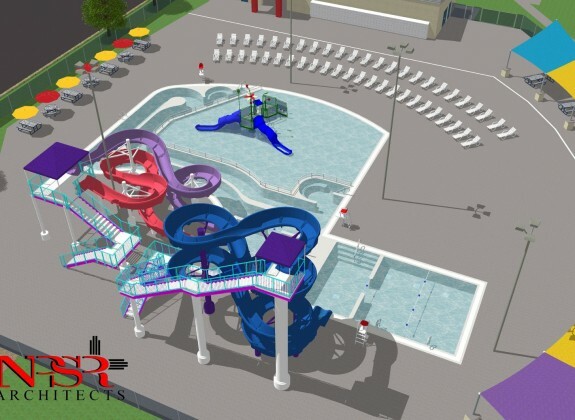 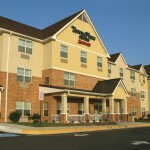 Pavilions, picnic tables, water, and restrooms provided. 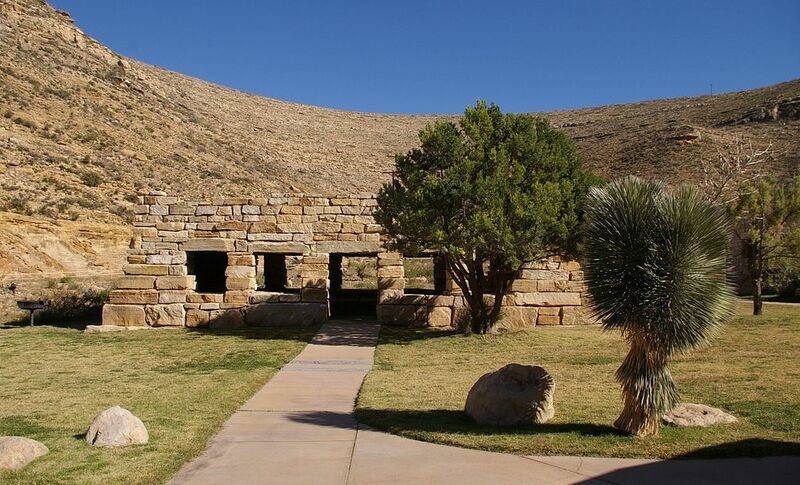 Open April 1 – September 30 – 8:30 am to 6 p.m.
October 1 – March 31 – 8:30 am to 5 p.m. Sitting Bull Falls offers day hikes throughout the area. 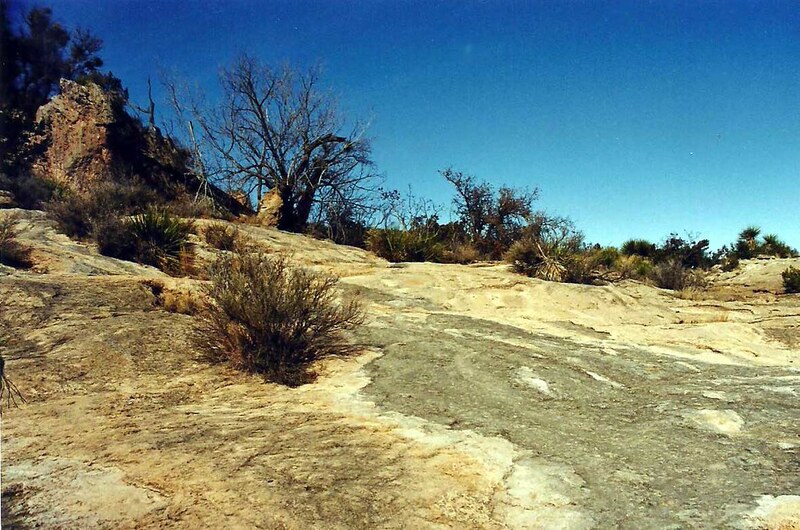 There are 16 miles of canyon land trails for hiking, biking and horseback riding. 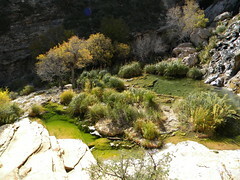 A number of hiking trails allow visitors access to the springs above the falls. A paved path connects the picnic area to the area around the bottom of the falls where wading and swimming are allowed. 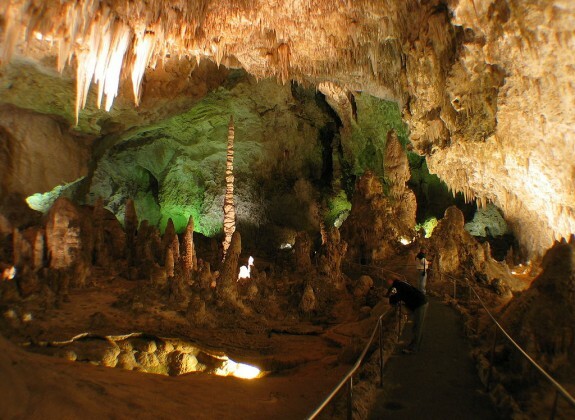 Additionally, there are a number of caves in the area which require special permits to visit. Swimming is allowed in the pools below the falls. 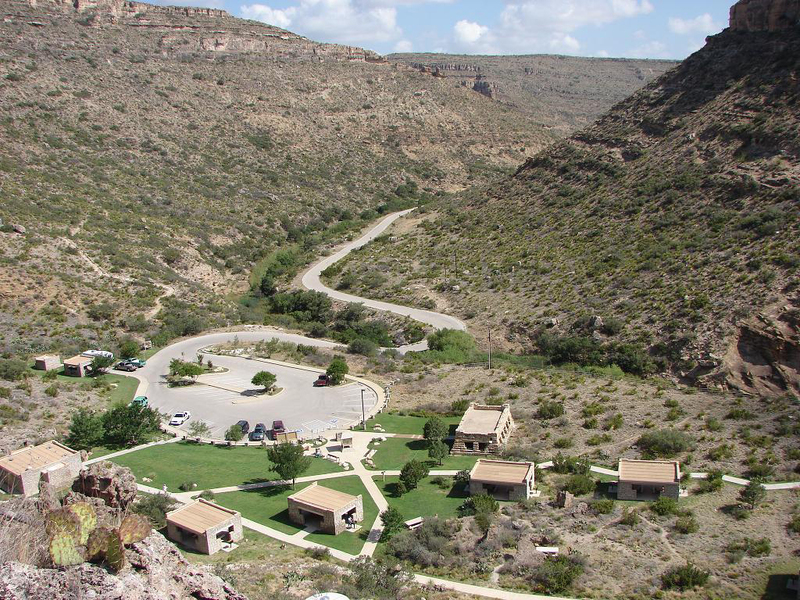 There are Picnic tables and services available.